Up until last year I made fries with yellow or red potatoes. They were fried most times, seldom baked. Then somehow I discovered sweet potato fries. My love for sweet potato fries ran deep, but I had never made them myself. So I looked up a recipe and tried them! This dish is now a staple in my kitchen. A quick side dish for a meal tossed in garlic and Parmesan cheese or for dessert tossed in brown sugar and cinnamon. Check out the video below and try them out! 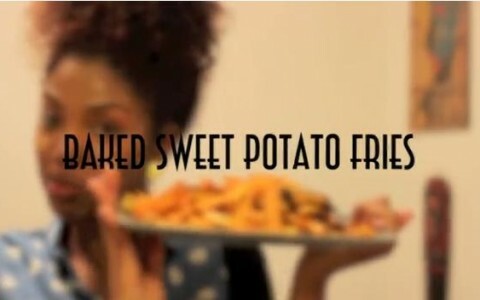 Do you cook sweet potato fries? Do you fry them? Bake them? P.S. For crisper fries, coat with oil and cook on 450 degrees F.